Doll, originally uploaded by Blij Als Mij. the reds, originally uploaded by Blij Als Mij. 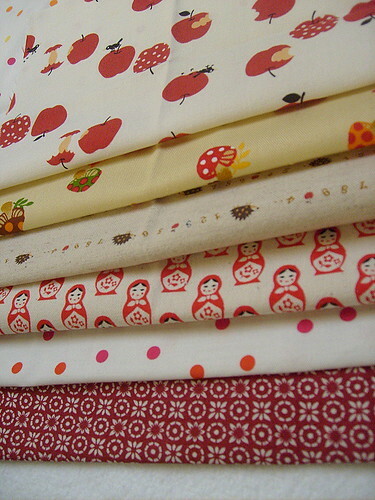 She sent me some lovely lovely red fabrics... 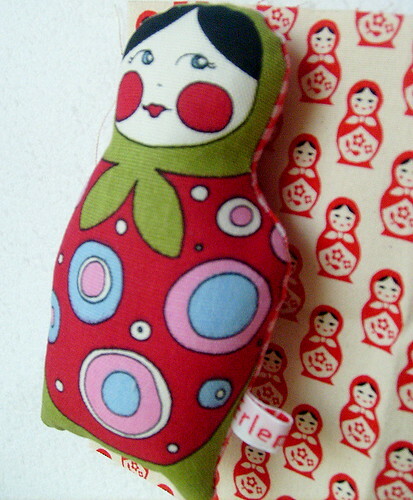 I absolutely LOVE the matrushka/babushka fabric...but look at those hedgehogs...cute aren't they? And those apples on top are soooo......just perfect! 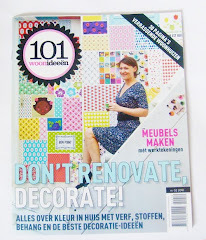 Thank you sooo much Mette it has been so much fun putting together your parcel! and to getting all these lovely fabrics and ribbons makes me soo happy! the greens, originally uploaded by Blij Als Mij. Toadstool and more loveliness, originally uploaded by Blij Als Mij. 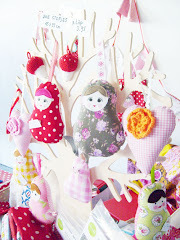 I can't stop talking about all the lovely things Mette made...look at this lovely little toadstool ornament...I'll hang it in my studio it will fit in so well there...and those ribbons....perfect! 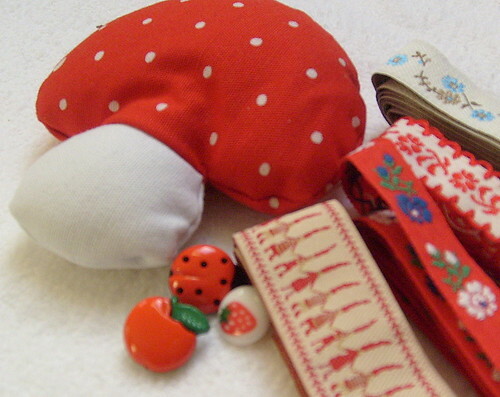 Thank you again Mette it was really fun swapping!! I'm so glad, you like it, Erna. It's a quick journey from Denmark to the Netherlands. Great swap, think I like the hedgehogs too. Lucky you! What a lucky girl you are! 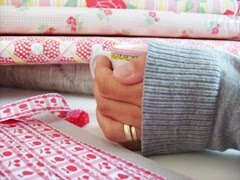 Those fabrics, trims and gifts are all just perfect! Wow, lucky you, what a great parcel Mette send you! 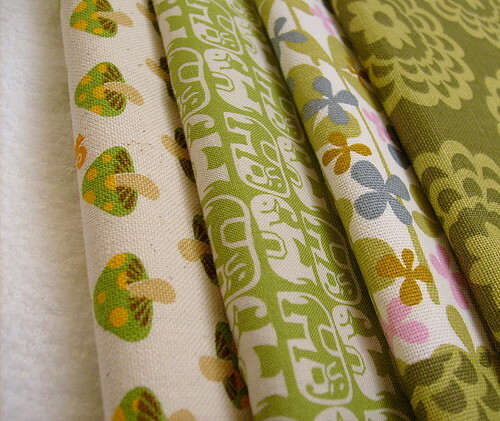 such gorgeous fabrics! I always love the same colors you do! the jam looks delicious too! I'm excited to make some of my own soon.